Amethyst is February’s birthstone. Amethyst is purple quartz, a beautiful gemstone that can be found in many in purple shades ranging from pale lilac to deep violet. Amethyst is a symbol of peace, protection and tranquillity and it’s said to bring you calm and serenity. 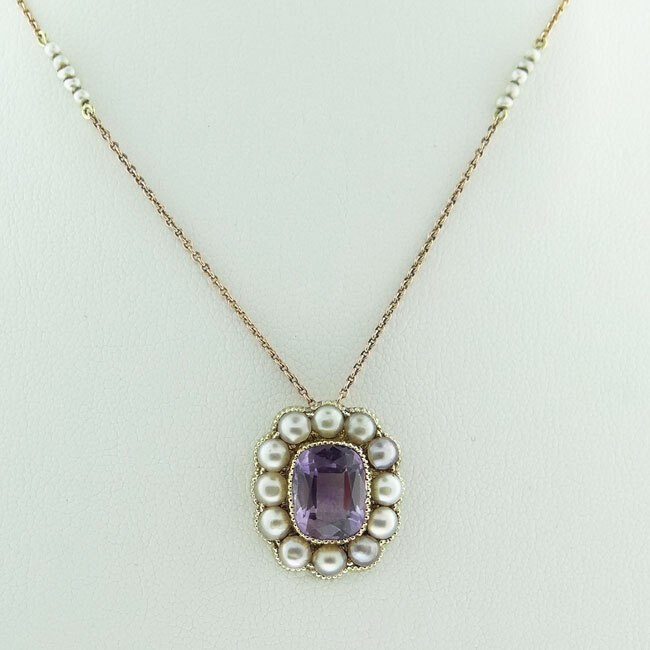 The Amethyst gets its name from Ancient Greek, derived from ‘methustos’ or intoxicated. The stone is believed to protect its wearer from intoxication. The Greeks and Romans wore amethyst on their person and created drinking vessels from the stone to prevent inebriation and intoxication. This entry was posted in Birthstones. Bookmark the permalink.